Classroom Freebies Too: Patriotic Graphing Fun! 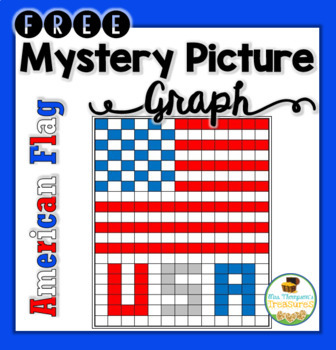 Whether you are looking for an engaging activity for the end of the year, or a something fun and patriotic for summer school, this USA Flag Mystery Picture Graph is the perfect activity for you! Students will practice using coordinates to color in the correct squares according to the key to create the picture. This activity works best for grades 3-5 and includes two different work pages so you can easily differentiate!